Deconstructing for Reuse & Recycling | Los Angeles County Tri Span Inc. When a building is demolished making way for a new structure, many of the old building materials can be reused or recycled. This deconstruction process saves resources, energy, and landfill space. This same materials conservation practice can be used during remodeling when only part of a building is being demolished. Recycling and reusing old building materials can be done on any type of job site including, residential, commercial, and industrial locations. In some demolition situations, state and federal laws regulate which materials or fixtures can be taken out for reuse. Knowing these regulations is the first step when deconstructing a building and salvaging useful items. The next step in recycling parts of an old building is identifying any hazardous substances present at the location. This is important because the materials being removed for reuse must be free from any contamination, or they must be properly decontaminated before they are recycled. When a building is slated for demolition, rapid assessment of salvageable materials is important for preventing theft or vandalism of salvageable items. Unfortunately, there is a thriving market for stolen building materials and valuable metals found in old buildings. Wood trim around doors and windows, moldings, and doors from older buildings are often made with wood and architectural styles no longer available. These items hold special historical and architectural value, and they can demand a high price at resale. Copper pipe and other metals found in buildings also have a high value at the scrap yard and are worth salvaging. Salvaging and recycling useful, historical, and valuable materials from a building help preserve natural and cultural resources in a community. When you deconstruct for reuse and recycling before demolition, you are playing a role in community conservation. 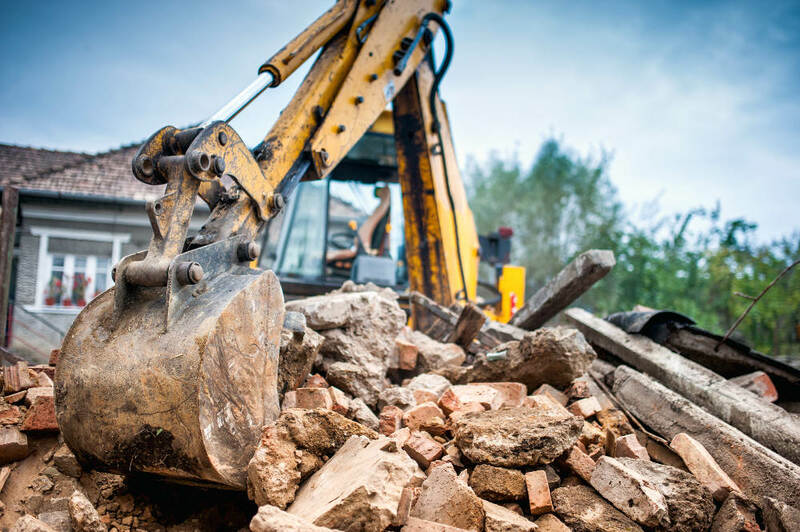 Tri Span Inc. is a general contracting company with extensive knowledge and experience in properly deconstructing a building before demolition or remodeling begins. Contact TriSpan for more information on preserving valuable construction materials in old buildings in the Los Angeles area. DeconstructionHazardous Material RemovalLos Angeles CountyOrange CountyRecyclingSouthern CaliforniaTri Span Inc.